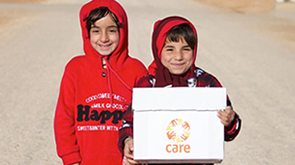 CARE is committed to being as effective as possible, in order to achieve the greatest possible impact in our poverty-fighting work with poor and marginalised people and communities around the world. We are therefore committed to supporting our staff to achieve their full potential, and to make working for CARE a fulfilling and empowering experience. 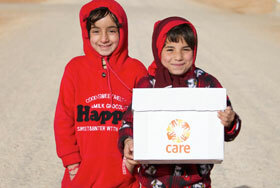 CARE International UK is a Living Wage Employer and a Disability Committed Employer. During the first year of service we offer 25 days annual leave. Thereafter from 1st July each year, the leave allowance increases by one day for each year worked up to a maximum of 30 days per year on completion of 5 years. We operate auto-enrolment for all staff into our pension scheme with Royal London. Further details can be obtained from the HR team. We enrol all our employees into our Group Life Assurance scheme from their first day of employment, at no extra cost for them. We provide a health cash plan to employees, provided through Simply Health. The cash plan offers money back on many everyday health care bills, such as visits to an optician, dentist or physiotherapist, up to annual limits. This benefit is available to staff upon completion of their probation period. Through this plan, employees can also get access to the 24/7 free and confidential employee assistance helpline (counselling and legal). Part of your monthly salary can be 'sacrificed' in exchange for Childcare Vouchers. Childcare Vouchers are exempt from tax and National Insurance up to a certain amount per month per working parent, allowing them to be worth much more than paying for childcare by normal methods. We offer a cycle-to-work scheme with Cycle Solutions to assist staff with bike purchases. By covering the cost of the bike through a salary sacrifice, most people save about 39% of the cost. Employees with at least three months continuous service are eligible for an interest-free loan to assist them in purchasing either an annual season ticket, or a gym membership (up to £500). We are committed to supporting courses of study leading to professional qualifications that will meet organisational objectives. Individuals can apply for assistance in two forms: financial assistance and/or study leave assistance. We reimburse professional membership fees where membership of a professional body is a requirement of the role. We offer a range of family-friendly policies with enhanced entitlements, including maternity/adoption policy, shared parental leave policy, paternity leave policy, dependent leave, compassionate leave, etc.